The Social Security program allows you to start receiving benefits as soon as you reach age 62. The question is, should you? Monthly payments differ substantially depending on when you start receiving benefits. The longer you wait (up to age 70), the larger each monthly check will be. The sooner you start receiving benefits, the smaller the check. 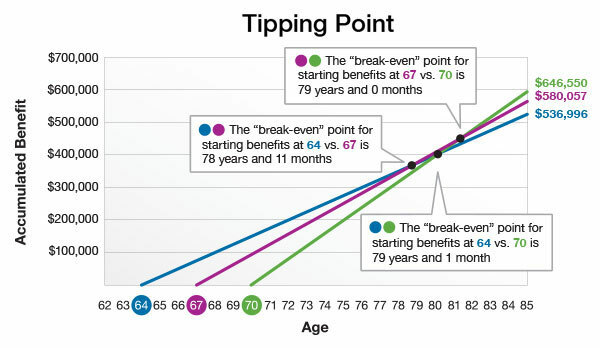 From the Social Security Administration’s point of view, it’s simple: If a person lives to the average life expectancy, the person will eventually receive roughly the same amount in lifetime benefits no matter when he or she chooses to start receiving them. In actual practice, it’s not quite that straightforward, but the principle holds. The key phrase is “if the person lives to average life expectancy.” If a person exceeds the average life expectancy, and has opted to wait to receive benefits, he or she will start to accumulate more from Social Security. The chart shows how Social Security benefits accumulate for individuals who started to receive at ages 62, 67, and 70. The person who started to receive benefits at age 62 would accumulate $620,064 by the age of 85. Conversely, the person who started to receive benefits at age 70 would accumulate $679,296 by the age of 85. The example assumes the maximum retirement benefit of $2,687 at age 66. It does not assume COLA. There is no single “right” answer to the question of when to start benefits. Many base their decision on family considerations, economic circumstances, and personal preferences. If you have a spouse, the decision about when to start benefits gets more complicated—particularly if one person’s earnings were considerably higher than the other's. The timing of spousal benefits should be factored into a decision. When considering at what age to start Social Security benefits, it may be a good idea to review all the assets you have gathered for retirement. 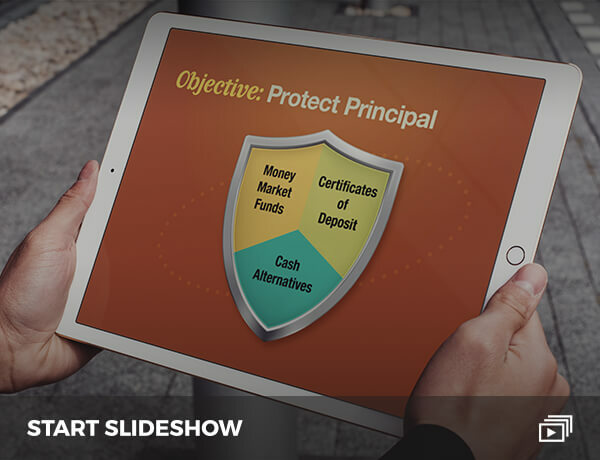 Some may want the money sooner based on how assets are positioned, while others may benefit by waiting. So as you near a decision point, it may be best to consider all your options before moving forward. Workers 50+ may make contributions to their qualified retirement plans above the limits imposed on younger workers. John C. Miller is registered with and securities are offered through Kovack Securities, Inc. Member FINRA/SIPC 6451 N. Federal Highway, Suite 1201, Ft. Lauderdale, FL 33308 (954) 782-4771. Advisory services offered through Kovack Advisors, Inc.